Restoring sight to the blind is one of those final frontiers of medicine that we’ve all been waiting for. 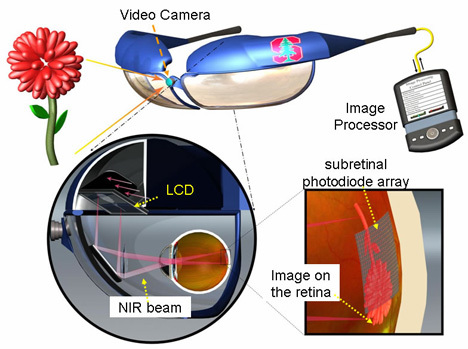 Researchers at Stanford have developed a retinal implant that communicates wirelessly with a camera in a pair of sunglasses. 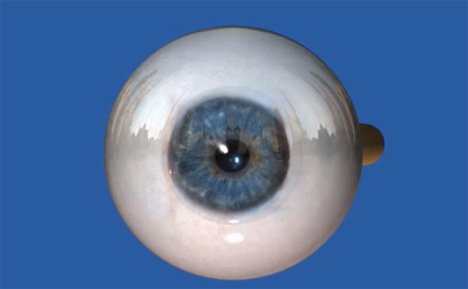 The video is projected directly onto the retina, restoring at least a portion of the patient’s sight. Retinal implants to restore sight are not new – in fact, they’ve been in use for several years already. But the Stanford team saw a problem that needed to be fixed: previous implants have been physically linked to the sunglasses, and a large portion of patients reported pain or other problems with the implant. The Stanford researchers changed their approach and developed a retinal implant that actually fits behind the retina. It is solar powered and, since it is wireless, has the potential to cause far fewer complications than previous retinal implants. The procedure to insert the prosthesis is far less invasive than other methods, and it’s reversible. While it’s still early days for this incredible technology, the findings so far suggest that it will change the way we look at retinal implants forever. See more in Cybernetics or under Technology. August, 2013.